After all, even the Eiffel Tower is just a decorative landmark in Paris, so we shouldn't be too scandalized by the total uselessness of this structure that will easily become a new landmark in New York City. 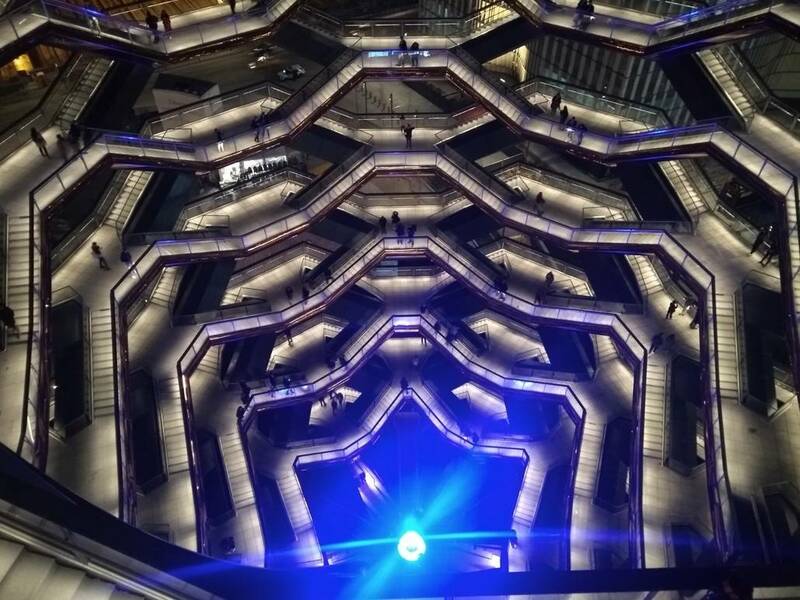 The Vessel was created by the British designer Thomas Heatherwick, but we are very proud to write that its 75 pre-fabricated pieces were manufactured by an Italian company, Cimolai S.p.A. of Monfalcone. 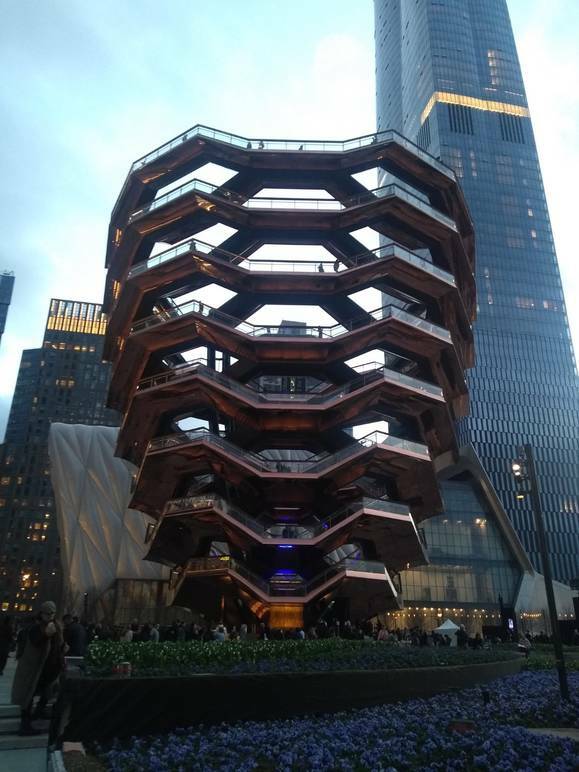 This company is involved in other projects of the Hudson Yards and is known worldwide for its ability in creating complex steel structures. As a matter of fact, Cimolai, founded in Italy in 1949, also fabricated the Oculus, the ribbed structure over the World Trade Center Transportation Hub in New York designed by Spanish architect Santiago Calatrava. 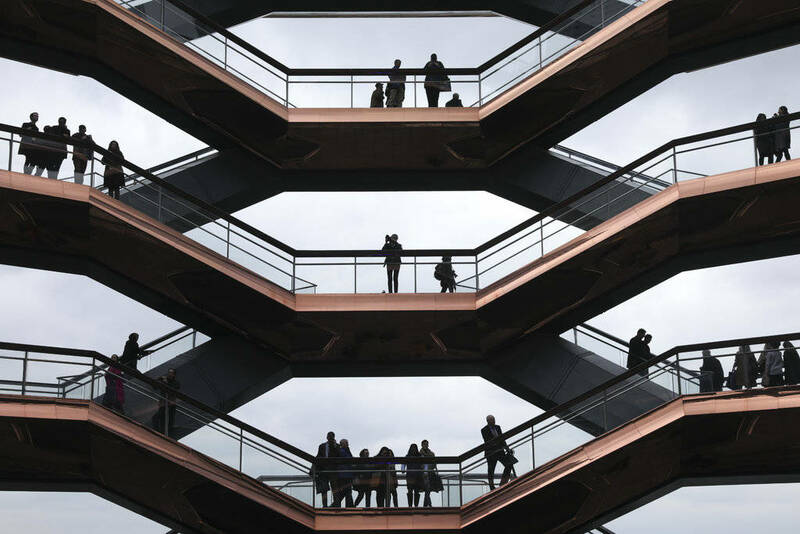 The Vessel's bronzed-steel and concrete pieces arrived in New York in six separate shipments after traveling for 15 days at sea and were assembled on site. A detail that reminds us of another New York landmark, the Statue of Liberty, which in 1885 arrived in 350 individual pieces from France and reassembled on what is now known as Liberty Island in the New York Harbor. 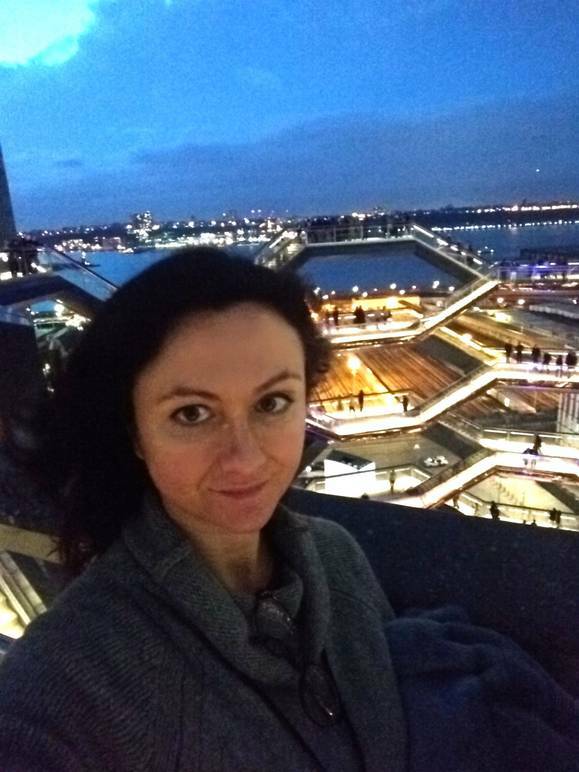 Just remember, before you go, that there is only an elevator in the Vessel, but it is strictly for disabled people and has only one stop, almost at the top. But the experience is exactly in the joy (and effort) of climbing all its steps!